The deadly beach at Morcambe. 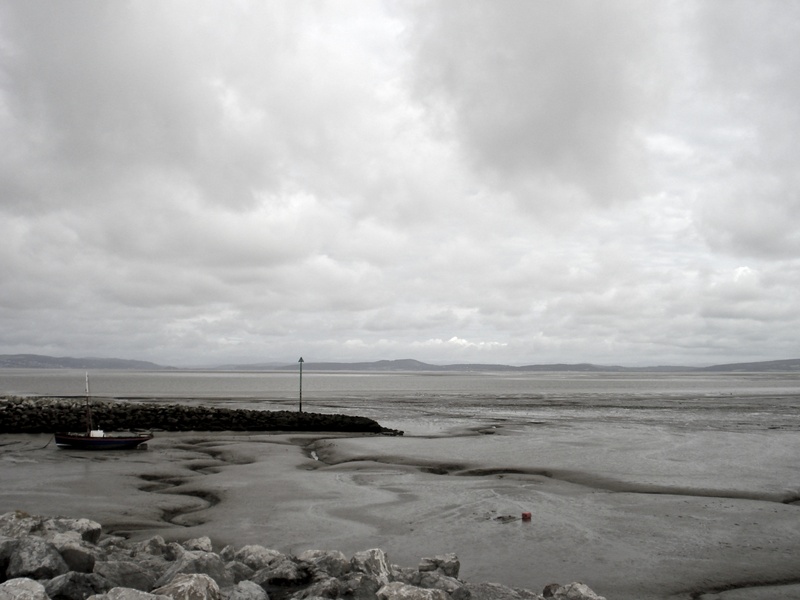 The beach here in Morcambe struck me with its monochromatic, desolate beauty. In that beauty is a terrible danger, also; the flatness of the land means the tides come in at an astonishing rate, and there was once a case of people drowning because they were unable to outrun it.